You are currently browsing the tag archive for the ‘Lynn Arnold’ tag. 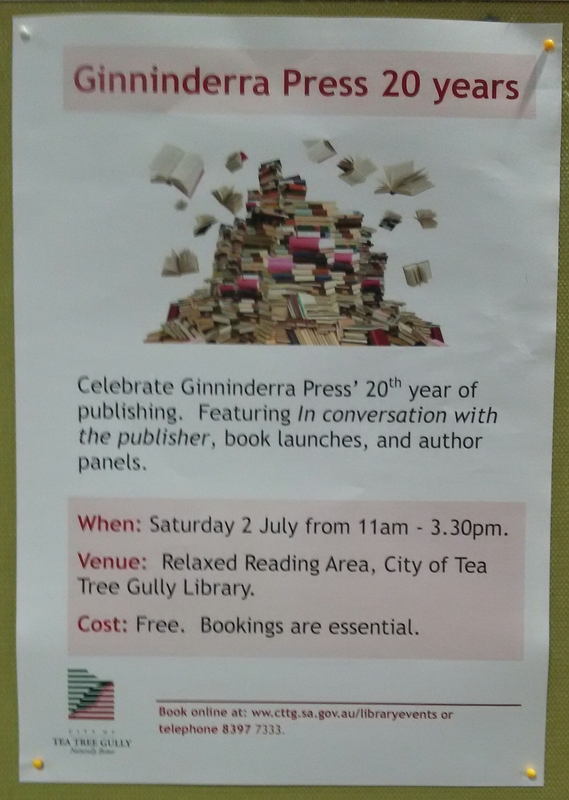 It’s the 20th birthday of Ginninderra Press (GP), and to celebrate the milestone of this prestigious publishing house run by Stephen Matthews and his wife Brenda, a weekend of literary events, in which it was a pleasure to participate. 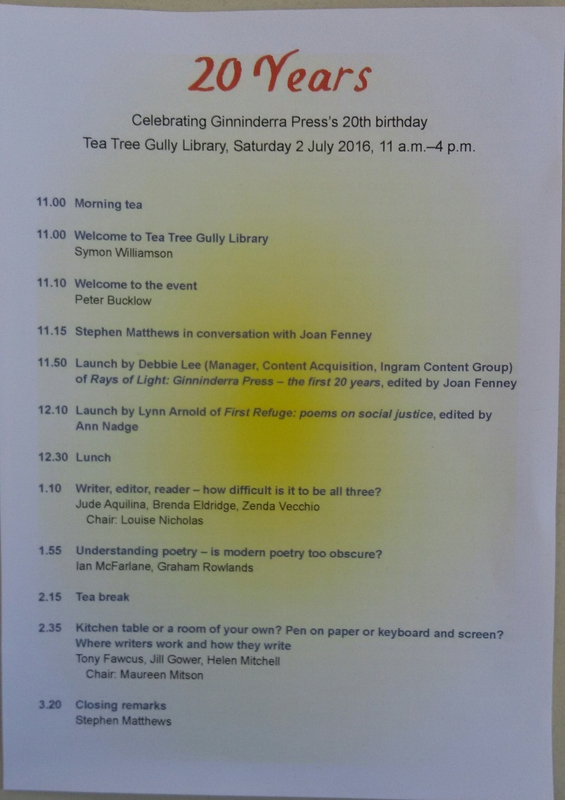 Saturday saw a full day at Tea Tree Gully Library, MC’d by Peter Bucklow co-owner of East Avenue Books with Joan Fenney, beginning with Stephen chatting to Joan and for someone who rarely enjoys the spotlight, Stephen was captivating. Having graduated from Cambridge with a ‘fascination for books’, Stephen shared his journey into publishing, a path deterred by his career guidance counsellor who suggested teaching instead. So after taking his advice, and from there into bookselling and eventually into editing, Stephen pursued his desire to ‘give manuscripts a place in our culture’. He explained how getting published has literally changed peoples’ lives (I can vouch for that) and how print on demand has helped to secure the future of books, and indeed his workload. 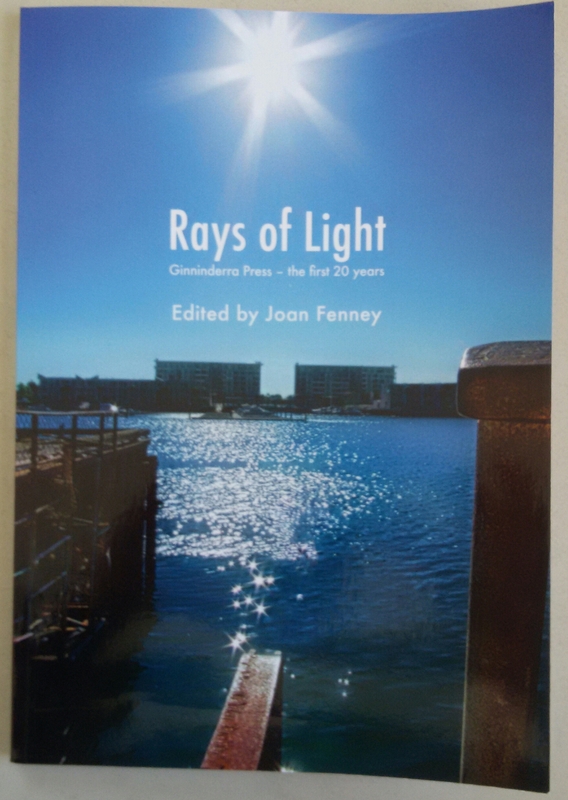 Next up was the launch by Debbie Lee of Rays of Light: Ginninderra Press – the first 20 years compiled by Joan Fenney. 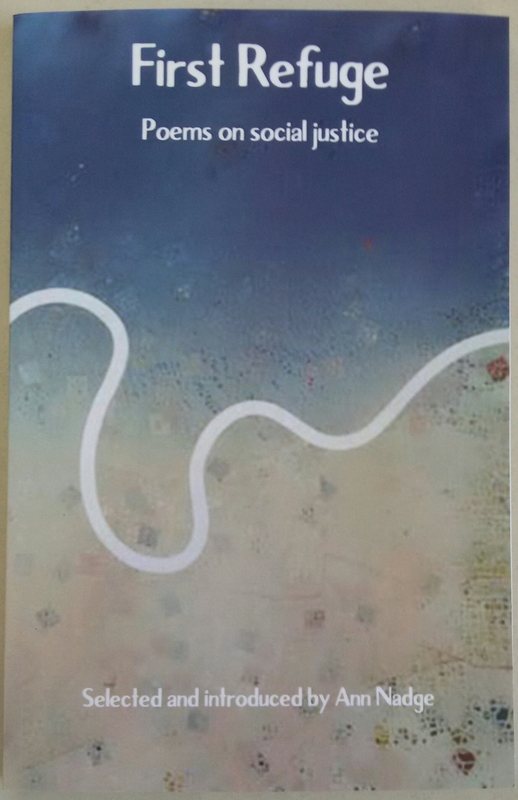 This is an enchanting read, learning how Stephen’s brainchild has established itself firmly in contemporary Australian literature spanning all genres – non-fiction, poetry, fiction, short stories – by publishing ‘little pieces of art’. 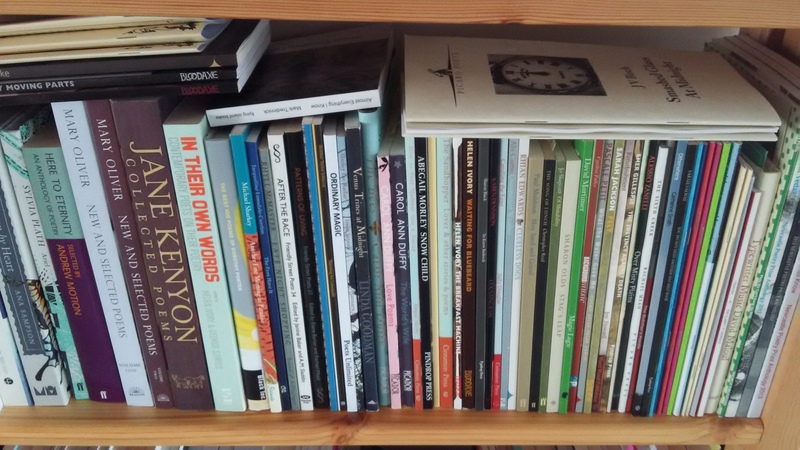 Since the inception of their chapbooks in 2014 – the Picaro Poets and the Pocket Poets series – GP has sold 6,000 copies in two years, now that’s impressive. This book is an invaluable record created by Joan after 15 hours of interview, with eight chapters written by GP authors, as well as a compilation of quotes from members of the GP family. And then it was time to launch First Refuge: Poems on Social Justice edited by Ann Nadge, in which I’m thrilled to have a poem. Former SA Premier and now ordained minister Lynn Arnold had this privilege and did so eloquently. These poems from 88 GP authors explore social justice reaching into uncomfortable spaces – war, domestic violence, refugees, isolation – leaving nothing unearthed, resulting in a somewhat emotional journey when reading it from cover to cover. To quote Ann, this is ‘a small book with big teeth, where language has power’. After lunch there was a session about being a writer, editor, reader, a panel discussion with Jude Aquilina, Zenda Vecchio and Brenda Eldridge (aka Brenda Matthews) facilitated by Louise Nicholas. Jude used to be a telegram writer and then pursued her passion for poetry by giving workshops, readings, judging competitions and editing manuscripts. Zenda only became a writer recently, enjoys telling stories and believes ‘reading and writing to be two strands of the same rope’. Brenda does what she loves every day, is flexible with her time and energy, and knows when her head isn’t in the creative space, deadheading roses makes more sense. When asked what their definition of a professional writer is, their answer was when you make a living from it, with reading an essential component. The next session looked at the impact of modern poetry – accessible or too obscure? Graham Rowlands shared some useful insights and read a poem by Michael Farrell, a poet regularly published in national broadsheets and whose work can often be difficult to decipher due to its ambiguous nature. Ian McFarlane shared some of his own work, explaining how it has helped him personally and how he prefers to connect with an audience rather than confuse it. The last session of the day was about how and where writers, specifically Tony Fawcus, Jill Gower and Helen Mitchell write, facilitated by Maureen Miston. Tony is a self-confessed poetry addict who writes continuously, reaching blindly for his notebook and pen in the dark so as not to wake his beloved. Jill likes to write sitting at the table of a café using beautiful notebooks to encourage her to do so, sharing how the likes of D H Lawrence, Ernest Hemmingway, Philip Roth and Jodi Picoult prefer to write. 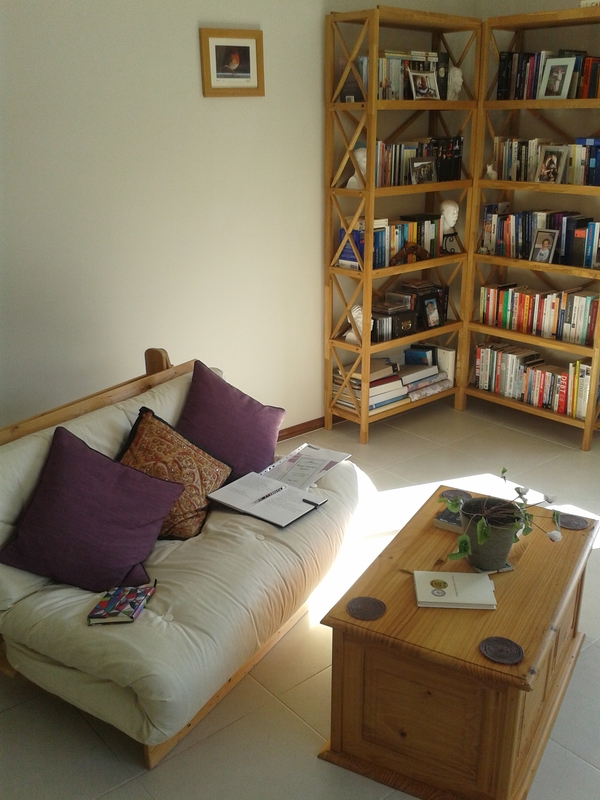 Helen writes in her study but finds inspiration outside, carrying a Sony recorder with her and using eavesdropping as a skill. 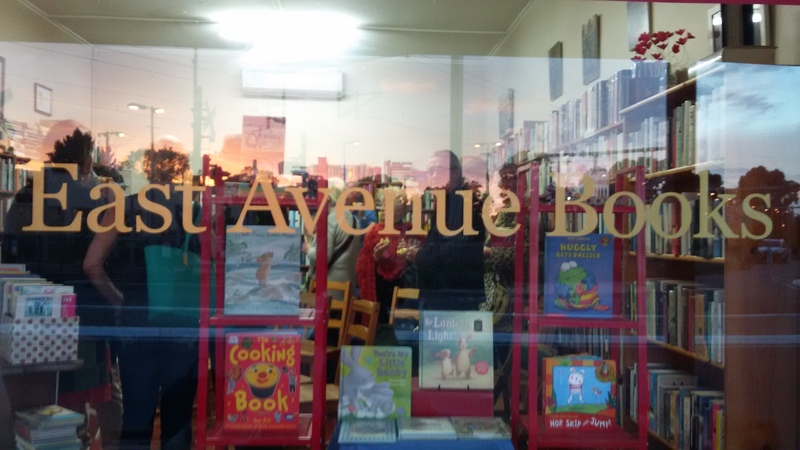 This was a jam-packed day covering a variety of thought-provoking topics, one I left happy to prep for the following day’s readings from the social justice anthology at East Avenue Books. As usual the bookshop was packed yesterday afternoon, with Peter once again hosting proceedings, introducing Ann to explain how the anthology came about. Several poets read their poems, including me, and I felt honoured to see my poem quoted from in the introduction. The anthology is a riveting read, one for anyone interested in social justice issues and the varied perspectives evoked. And this concluded the celebrations. There was also a dinner cruise in Port Adelaide, home of GP, on Saturday evening which I unfortunately couldn’t make but heard it was wonderful, made more so by the appearance of the local dolphins.